Upon inserting the Silver Diamond RCA digital cable the answer became immediately obvious: a resounding yes. Just when I thought the limits were reached - the Silver Diamond went further!In particular the extension at the extremes was even better and the openness of the midrange spectrum helped to cast an even more believable sonic picture. The vocals were sensationally immediate and alive sounding; the human touch was highly authentic. The bass spectrum gained in punch and control and the instruments had even more body and thus seemed even more realistic - despite being already exemplary with the Ultra Silver RCA cable. The uppermost octaves seemed even more open and limitless in their extension with the Silver Diamond and this in turn gave even more airy presentation of various recording venues. “SD is a generation ahead in terms of its capabilities, principally because of the vast amount of noise it removes from the soundstage and the clarity that it brings as a consequence. 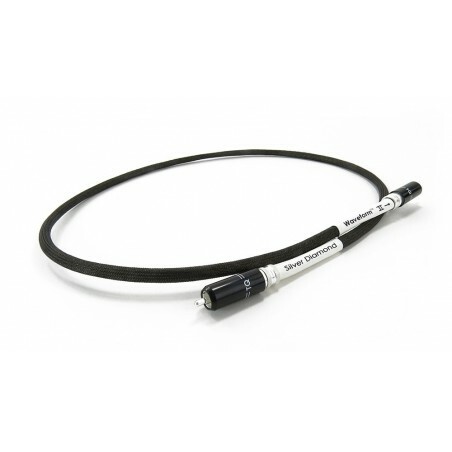 The Tellurium Q Silver Diamond RCA is one of the all time great digital cables that, if you can afford, you really must own. Once you’ve heard this design provide its amazing sense of realism, then any other digital connection tends to pale into insignificance. Brilliantly transparent, the Silver Diamond is likely to dominate the digital cable hill for many years to come."